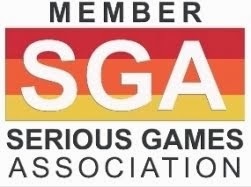 This year´s Games for Change Europe Festival, held June 15-16 at the CNAM Museum in Paris, France, focused on Games & Politics, featuring an array of projects that connect the power of games and interactive media with impactful messages. 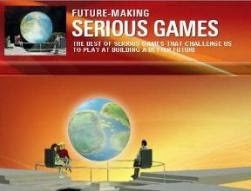 In the series of talks about Documentary Games, G4C highlighted groundbreaking projects and their makers from around the world to reveal the true potential of games as an investigative, mind-bending and political medium (please find also Offshore International, A New Interactive Documentary At The Frontier Of Serious Gaming). In his talk, David Dufresne, creator and director of the critically acclaimed Fort McMoney, provided insights on the creative challenges of his multi-episode narrative and the potential impact of interactive documentary storytelling. Fort McMoney is a web documentary and strategy Serious Game about Fort McMurray, Alberta, Canada and Athabasca oil sands development. 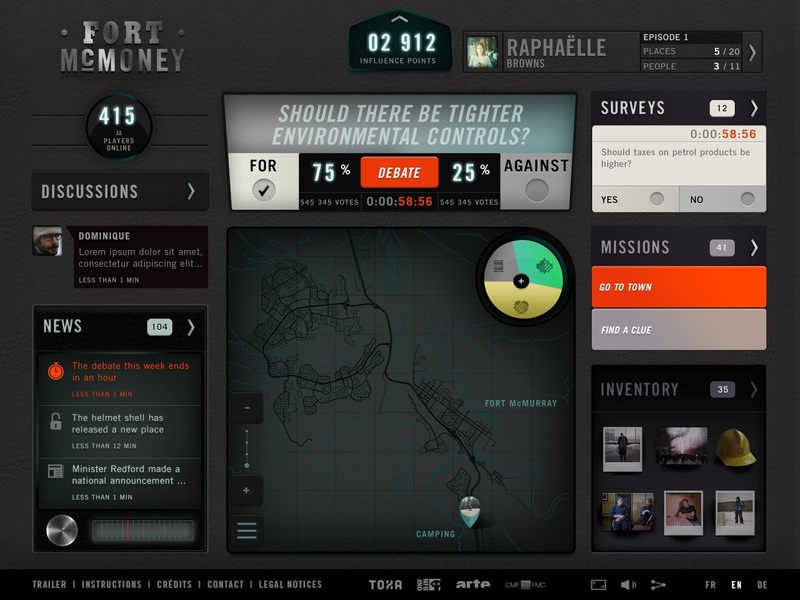 The documentary uses interactive game elements to allow users to decide the city’s future and attempt to responsibly develop the world’s third largest oil reserve. The game consists of three episodes (Boom Town, Black Gold and Winter Road), each played in real-time over a four-week period. 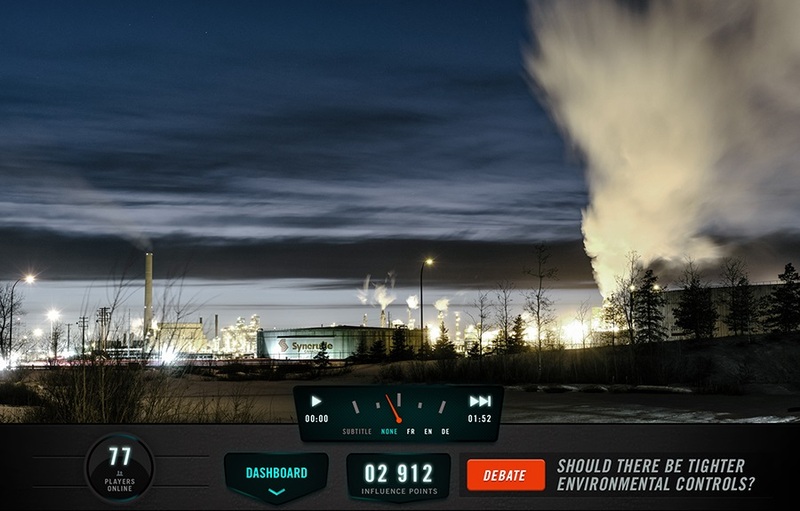 In the game, players explore the city and connect with key players in the oil industry, environmental activists as well as those living and working in the city and surrounding oil patch. Players learn the town's environmental, cultural, political, social and economic concerns. Each week, you are able to vote in referendums and surveys that will affect the city's future, engage in debates, and attempt to win other players over to your "worldview" in order to influence the city development. Each action you take earns you influence points, giving you extra leverage. Your goal is to take control of the world's largest energy project and make your worldview triumph. Fort McMoney incorporates 60 days of filming in more than 22 locations in the city, including dozens of interviews. Research took place over 2 years, with 2000 hours of footage shot at a cost of C$870,000. It is a result of the collaboration between National Film Board of Canada (NFB) and Montreal-based TOXA, in association with Franco-German TV network Arte. The documentary game is available in English, German and French. 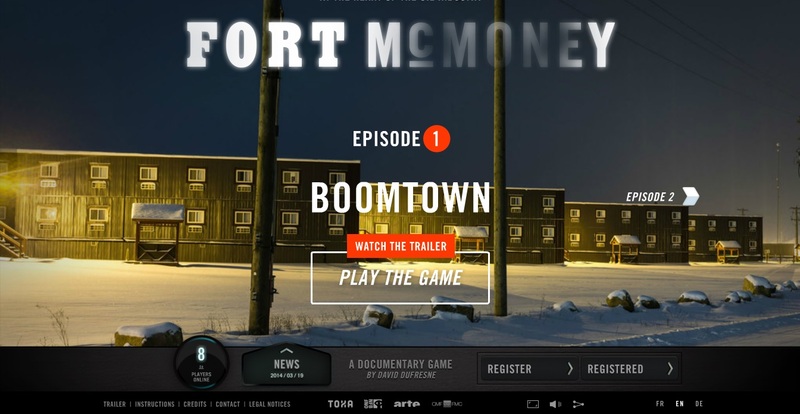 In February 2015, Fort McMoney was named the Best Original Interactive Production Produced for Digital Media at the 3rd Canadian Screen Awards. David Dufresne is an international award-winning independent writer and filmmaker, who joined the MIT in 2014 as a Fellow at the Open Documentary Lab, Comparative Media Studies/Writing, for one year of research in web documentaries. Since 2014, he has been a visiting-professor of journalism at Académie du Journalisme (Neuchatel, Switzerland) and since 2015 at l’Ecole des Médias in Université du Québec (Montreal, Canada).